My Eagle Face Oatmeal Stout ended up as another fine brew–it’s been a great winter brewing season so far. I took a sample to my homebrew club meeting last week, and it actually placed highest in our informal beer tasting competition (out of eight entries, many of them quite good)! At any rate, I thought I would do my own, self-critical tasting while the beer is still in its prime. The results are below. Slightly chocolatey / roasty; no hops detectable. Very nice. Moderate body, carbonation perfect for style; just a touch creamy/silky, but not overly so; no astringency or any off flavors. Absolutely! The recipe turned into a really nice beer! I might up the oatmeal on this just a tad next time to give it just a hint more mouthfeel, but otherwise it’s quite good. 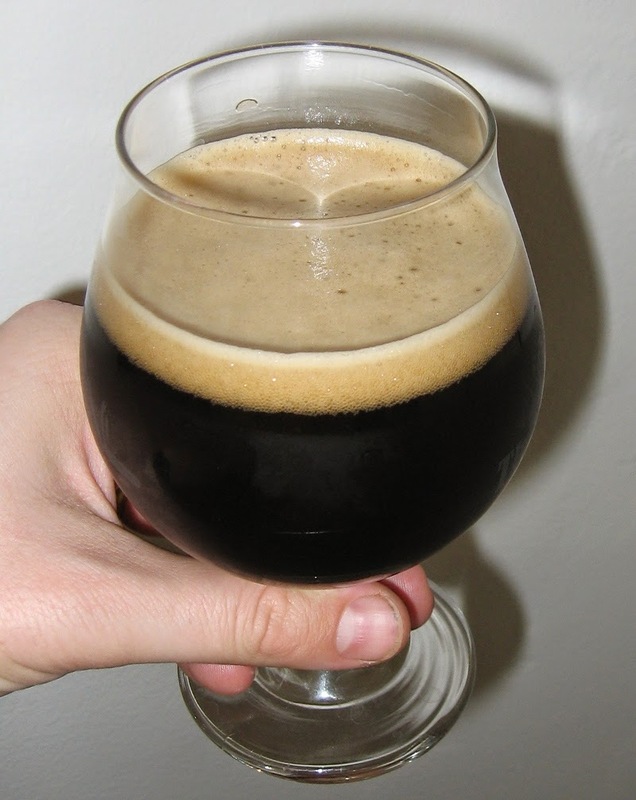 This entry was posted in oatmeal stout, stout and tagged Eagle Face Oatmeal Stout, EFOS. Bookmark the permalink.